Does your business website have a firewall? – Superb Internet Blog - Delivering 360° Hosting Experiences – and blogging about it! Does your business website have a firewall? In light of recent events in cyber security, you need to be asking your IT team this question. As business owner, you should be part of that 4% that has a full understanding. If you do not have a firewall in place, you are placing your business and cash flow in serious jeopardy. Well, firewalls monitor data exchanges between your server and other computers across cyberspace to determine whether each connection is safe or not. The firewall is similar to the shields Captain Kirk regularly deploys on the Star Trek Enterprise. While Kirk will raise and lower shields depending on the situation… a firewall is always up and running… deflecting the bad stuff. 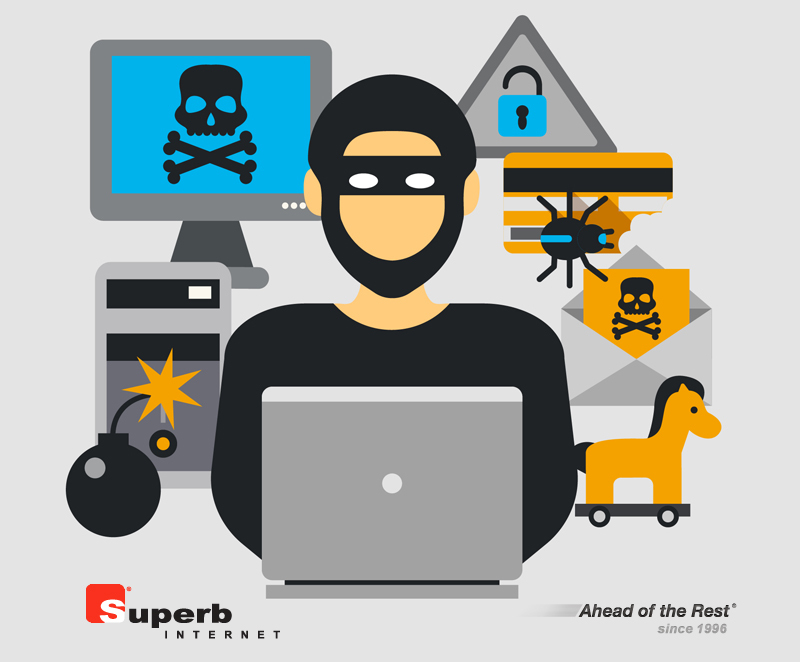 If you don’t have a firewall or are unsure, contact the experts at Superb Internet and let them give you a no obligation security check. There’s no cost and you’ll get peace of mind or the information you need to secure your business website. You might be asking, why do I need the added expense of a firewall? Great question! Honestly, not many websites actually have a firewall configuration… and that can be bad for business. If your server is compromised, you’re looking at downtime. Downtime = cash flow loss. Even if your server software is outdated, a firewall can provide protection… and let’s be honest, many times we simply ‘forget’ to do regular updates. I’ll cover how to handle updates in a later article, but suffice it to say a firewall is worth its’ weight in gold. With a firewall, your shield is up all the time… protecting your business. And don’t worry, it doesn’t matter if you understand how to manage or setup a firewall… I’ll explain later in this article how to get a managed firewall custom tailored for your business. AFFORDABLY. Sony Pictures was hacked and blackmailed in 2014 with a creepy red skull appearing on their systems. Cybercriminals leaked yet-to-be-released films and hacked Sony’s Twitter account. Sensitive company data was destroyed and employee information like social security numbers and salaries were compromised. Believe it or not, the big names are actually being avoided in favor of companies that tend to have weaker protection than the larger enterprises. Corporations are taking massive steps to cyber protection and allotting huge funds for hardened security, and they become a more tedious undertaking. So the criminals are going for the low hanging fruit… is that your business? If you own a smaller business, you’re a prime target. You’ve got more digital assets compared to the typical individual consumer, putting your business on the criminal radar. Without a firewall and with little effort, these criminals can get away with your lifelong investment. Ransomware attacks are quite common. Malware encrypts enterprise data and can only be recovered when you fork over some bitcoin to unlock the data. The cyber-attacker demands payment in cryptocurrencies which leave no identifiable trail. In 2016, the SAW horror-film-inspired JIGSAW ransomware which slowly deleted files when the victim refused to pay the ransom. Worse, you could even be the victim of compromising emails or data that could change your life forever. Hillary Clinton and the DNC both learned the importance of data protection in 2015 and 2016. And recently, hackers exploited an NSA surveillance tool released into the public domain. The malware called Wanna Decryptor 2.0 crippled hospitals worldwide. Dozens of countries were affected as the malicious software rendered computers useless and left staff unable to access medical records. Can you imagine seeing the mouse move around on your screen as someone attempts to take control remotely? Just think of the aforementioned ransomware warning tactics that scare users off while cyber attackers seem to have fun in the background. Every PC connected to the internet is a potential target for hackers, key loggers, and Trojans that await the slightest opportunity to attack unpatched security holes. Intruders are empowered to destroy your operating system, if only they can get into it! A correctly configured firewall on a modern OS can ensure that remote desktop access is disabled to prevent unauthorized user access. Moreover, firewalls block access by apps, perhaps even the software that you trust and unknowingly penetrate your system. In short, it doesn’t matter what line of business you are in…power plants, credit unions, hedge funds, PR firms, hotels, retail shops, colleges, and online businesses are all at risk. But what kind of firewall? How do I add a firewall to my existing server or website? Software firewalls are installed onto your server or local PC. These are great, but they are resource intense… which means they can slow down your computer or server. You should definitely have this installed on EVERY PC in your local environment. A good software firewall filters traffic of data down to the last detail in both directions. Automated whitelisting tools establish whether the packets meet the rules or specified security criteria or not, and will either be accepted or rejected accordingly. The best firewalls in my experience are hardware based. Hardware based firewalls are essentially a server that monitors everything going in and leaving your computer or server. Hardware is superior to software in many ways. For one, they eliminate any load from your main business website. Your website can work as it should without having to fight off attackers. Hardware firewalls provide maximum security as data is filtered at packet-level while utilizing less resources on your main server. That’s why Superb Internet uses the Cisco ASA series firewall to protect servers and websites. The Cisco ASA is a mix of hardware and software. The whole package so to speak… giving you dedicated hardware with an easy to manage web interface… and like I said, you don’t need to understand any of this when you choose Superb Internet. In fact, Superb will configure and deploy the firewall in front of your website for you… very affordably. What Is the Cisco ASA and How Does It Work? Cisco ASA, short for Adaptive Security Appliance, is a versatile firewall that can be added to any virtual or dedicated server at Superb Internet. Cisco ASA combines software and hardware firewall, antivirus and virtual private network (VPN) features in one. Keeping your business online and protected is something you don’t want to take lightly. The right business-owner mindset is to never underestimate the possibility of cyber security attacks! Stop them before they get into your network. The Cisco ASA is included in Superb’s Managed Services Suite… and like I said it’s extremely affordable. You can add a Cisco Managed Firewall to ANY existing Superb Internet Cloud or Dedicated Server. Previous articleWhat would data loss cost your business?